Machine Gun Kelly, an underground rapper from Cleveland, recently tweeted about the success that All 6’s and 7’s is bringing to Tech N9ne. Tech N9ne is proving to the world that you can stay independent and be successful and he has motivated at least one person to keep working in Machine Gun Kelly. Follow Tech N9ne at @TechN9ne. Follow Machine Gun Kelly at @machinegunkelly. 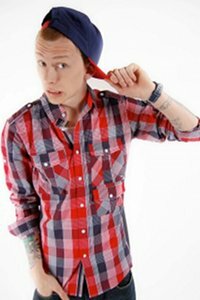 What do you think of Machine Gun Kelly? Would you like to see Tech N9ne collaborate with him?